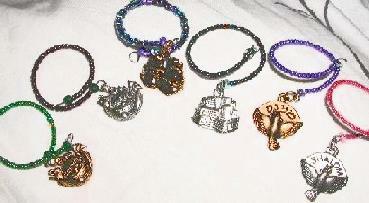 Chadis Crafts and Kippot - Deluxe Wine Charms. Wine Charms, the great way to have your guest keep track of their wine glasses. Customer tell me they also use them on mugs, coffee cups and the handles of tea cups and as napkin rings. 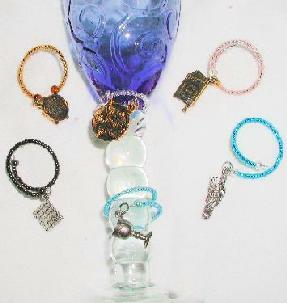 Each wine charm twists around the stem of most wine glasses or footed water glasses. Hand made of high quality stainless steel memory wire - no hooks to fight with. Glass beads covering the ENTIRE wire. 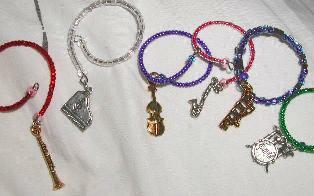 Each set of charms come assorted in both golden pewter and pewter charms for an extra special look. Large assortment of colors of beads to choose from. Sets available in single or assorted colors. Custom colors can be ordered. 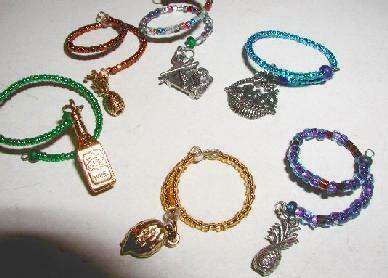 Current Assortments of Pewter and Golden Pewter Charms. Fruits: Apples, Pineapples and Citrons. Colors of beads can be ordered all one color or assorted colors. Colors available are: golds, Irridescents, purples, greens, blues, sparkle, clear, pinks, reds, ambers etc. Regular Price $30.00 set Now Special Price- $25.00 set of 6 plus shipping. 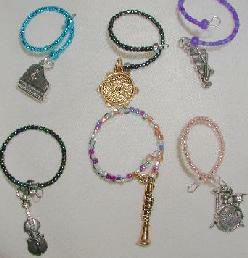 Regular price $40.00 now on special $32.00 set of 8 plus shipping. 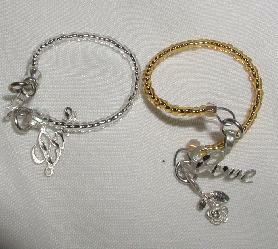 Pair of Mini sterling charms of Love and Roses perfect for Valentine day, Anniversaries, Weddings and more. Great for a pair of romantic goblets! Special Price- $10.00 pair plus shipping. 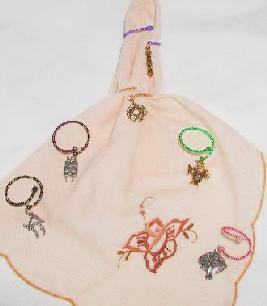 Available with different colors of beads. Custom ordered for your special event. 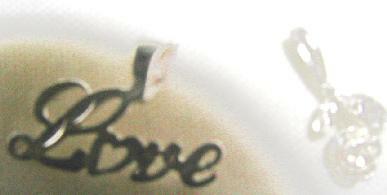 Click here to see my new Jewish Wedding Pair.